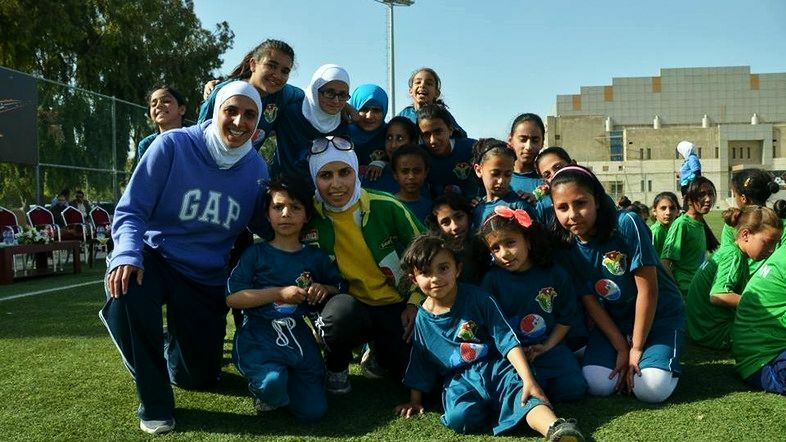 Women take to the pitch as female footballers wow Jordan. It is a conservative Arab state, yet football is increasingly popular among women, who do not see a contradiction between the world’s most popular sport and Islamic values. In Jordan, female footballers love to be referred to as “Nashmiyyat,” or the “brave ones.” That is the official name of the national women’s team. “If there has ever been an Islamic reason restricting women’s involvement in football, it’s no longer in place, with the international rule-making body FIFA lifting the ban on the use of hijab during football matches,” said Sama Zghayer, a professional footballer and former member of the national women’s team. Danielle Salton and Mary Harvey, former members of the U.S. Women’s National Soccer Team, visited the Jordanian capital last week. The U.S. ambassador to Jordan, Stuart E. Jones, told Al Arabiya News that the visit aimed to enhance women’s empowerment and involvement in sports. The former international players also visited the kingdom to increase participation in the Jordan Football Association’s Prince Ali Centers, which comprise a new nationwide network of football clubs for adolescent girls, according to a U.S. embassy statement. In cooperation with the Prince Ali Centers, Salton and Harvey led one workshop with coaches, and three workshops with several of the 15 Prince Ali Centers. The program culminated in a mini-tournament for all the Prince Ali Centers on Friday at the Polo Fields in Amman, with 375 Jordanian girls taking part, according to the U.S. embassy. → Syrian refugees exhibit their art and aim for microloans. ← The Palestine of Nabil Anani: Colorful, but not Happy.